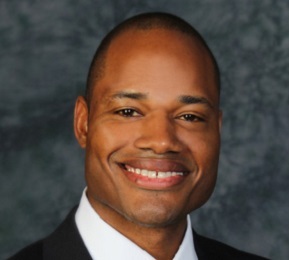 ROC the Future has recently selected Ajamu Kitwana, executive director of ESL Federal Credit Union’s Charitable Foundation, as chairman of its convener board. Kitwana will replace Jennifer Leonard, CEO of the Rochester Area Community Foundation, in the position. Leonard’s term ended in June. ESL Federal Credit Union joined ROC the Future’s convener board as a member and funder in 2016, and Kitwana was named vice chair of the board in 2017. In 2013, Kitwana joined ESL as manager of the organization’s new Consumer Prosperity Program, which ESL established to enhance the credit union’s competitiveness, and to help solve economic and social problems in the Rochester community, according to a press release. As executive director of the foundation, Kitwana currently uses philanthropy as a strategic tool to strengthen, integrate, and catalyze change in the community by leveraging funding initiatives. Earlier this year, he received the Spark Award from Causewave Community Partners, and he has been recognized as an individual who has used his role as a Causewave volunteer to serve as a catalyst for positive change, setting an example for others to follow. Kitwana holds a master’s degree in business administration from Massachusetts Institute of Technology, as well as bachelor and master of science degrees in Civil and Environmental Engineering from Stanford University. He resides in Rochester with his wife and three children. Visit www.rocthefuture.org for additional information regarding the ROC The Future.